Easily find any invoices, or estimates, that you're looking for. The process is the same for invoices and estimates, in their respective reports. 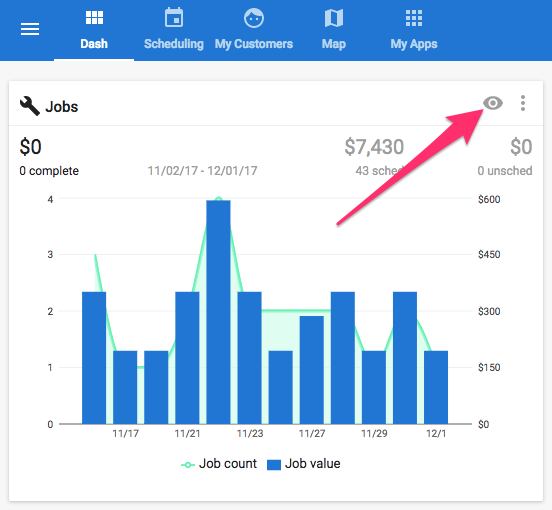 Go to your dashboard and click the eye icon in the top right corner of your 'Jobs' report. Find the first column header, 'Invoice,' and click the blue funnel icon to the right. A text box will appear where you can enter the desired invoice number. After you've typed the correct invoice number, click the 'Filter' button below. 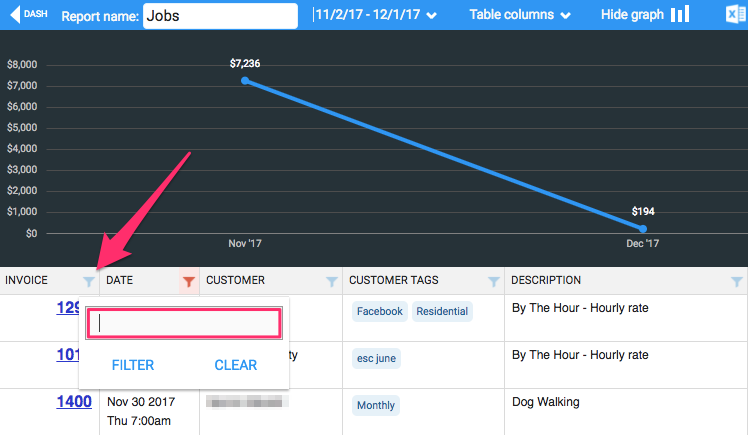 The report will then filter for and find the invoice you're looking for! If the invoice does not appear, it may have been deleted. You can quickly recover the deleted invoice!